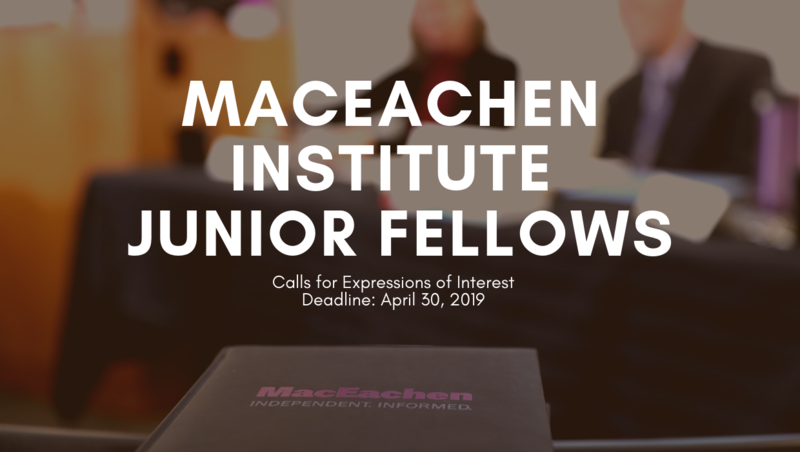 The MacEachen Institute for Public Policy and Governance at Dalhousie University invites applications for 2019-2020 Junior Fellows. Their appointment will start in September 2019 and end June 2020. Visit the MacEachen Institute’s website for a detailed description of expectations and information on the application process. About the MacEachen Institute: The MacEachen Institute for Public Policy and Governance at Dalhousie University is a nationally focused, non-partisan, interdisciplinary institute designed to support the development of progressive public policy and to encourage greater citizen engagement.